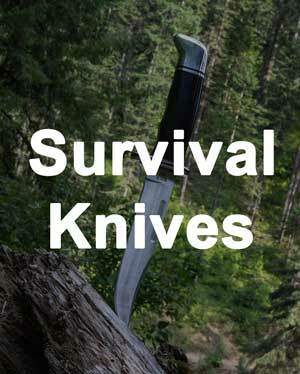 When it comes to choosing from the best pocket knife brands in the market today, there are many great options. Great knife companies come and go, but it's the ones that stick around for a long time that we remember and learn to trust. A relationship formed with a company can be handed down from generation to generation of loyal customers. We want the best products that we can get for our hard earned money, so building trust in quality over time is a very delicate process. Companies that stand by their products, have great warranties, and have been around for a long time are usually the best ones. Because it gives us the confidence that we are getting the most value. In this article, we are going to review the top pocket knife brands, as well as look at one of their most popular products for each brand. We always want quality in a good pocket knife. Whether it's the type of steel in the blade, the material in the handle, or the overall design, we need it to be durable and dependable. Some brands capture lessons over time and keep getting better in their products. A good warranty is important to us. All product lines have some defects, and we need to know that if something went wrong in the manufacturing process, then the brand has our back and will take care of their mistake. 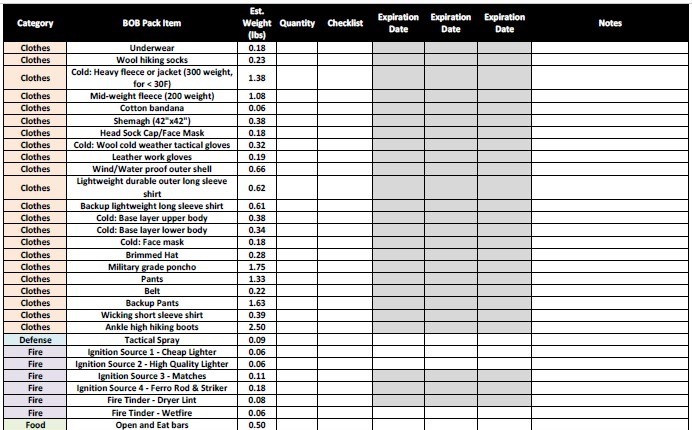 All of the brands in this article have great warranties. 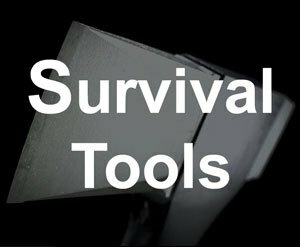 Because knives are tools, there are many different types for different tasks. We will usually carry a knife on us that is used often and possibly every day. Those needs can change over our life time, and we want to be able to pick a different knife to fit our current needs. After trusting a brand, it is usually nice to be able to choose another one of their products that has the same quality. Price is always a variable for most of us. We have many things that we buy and need, so we want a great product at the lowest cost we can find. Believe it or not, Smith and Wesson is a company that has been around for over 150 years. 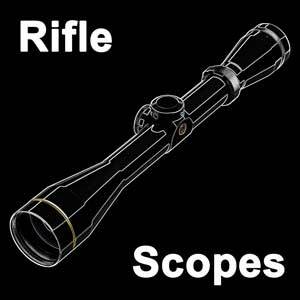 They make many things from knives, tools, and handcuffs, but are most well known for guns. The product quality is very high, and their selection of knives is mostly for law enforcement and military. 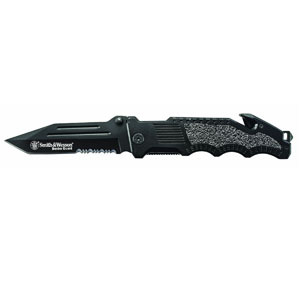 One of the most popular Smith and Wesson knives is the Border Guard 2 Rescue. It is a folder knife with a 4.4 inch blade made out of 7Cr17 high carbon stainless steel. The handle has an integrated seat belt cutter and glass breaker built in. A younger company, Kershaw has been making knives for over 40 years. 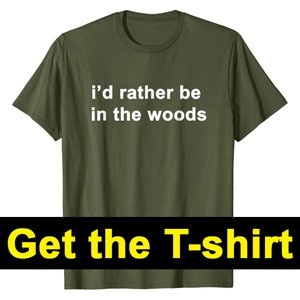 Their focus is on very high quality knives used for anything from everyday tasks, hunting, camping, and even tactical. The Kershaw Cryo Knife is one of their best products. 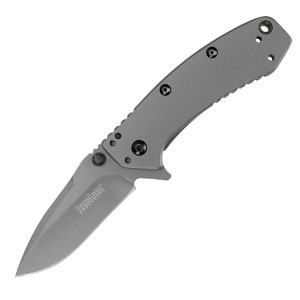 It has a 2.75 inch length Cr13MoV stainless steel blade, which makes it easy for everyday carry. There is a pocket clip on the handle and also a speed assist feature. This is a great knife with a basic looking design so that it's not too intimidating if you pull it out and need to use it for a task. Buck Knives has humble origins starting as a family custom knife operation that continued for over 60 years until the formal company was created in 1961. Over the next 55 years, the company has became very well known for their quality and reliability. Buck is all about the classic look and great durability. 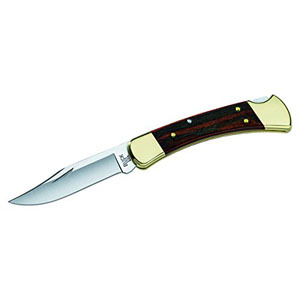 A breakthrough design in 1964, the Buck Knives 110 model is still extremely popular today. The blade is 3.75 inches and made out of 420 high carbon stainless steel. 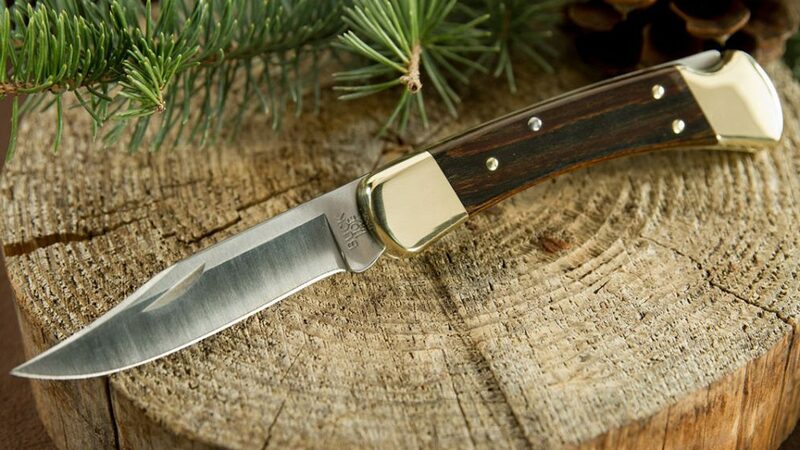 The wood and brass handle pays respect to the history of pocket knives. One of the youngest in this article, Spyderco has been around for around 40 years. They are the innovators and rebels, and help introduce features like a pocket clip, blade serrations on folders, and one hand opening. 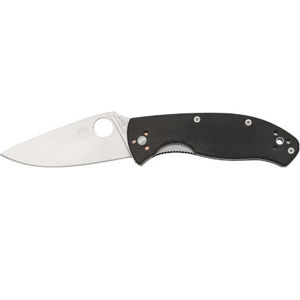 The Spyderco Tenacious is one of their most popular knives. It has a 3.375 inch blade made from 8CR13MOV stainless steel. 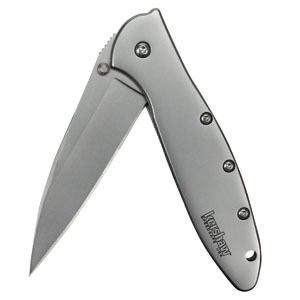 It is a great basic knife that also has a pocket clip that can be switched around to the user's preference. This knife is a great long term performer. Gerber has been around for over 75 years. They are well known for their high quality tools and knives. 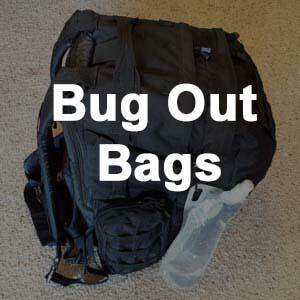 Their focus is on mission critical performance, especially for law enforcement and military. 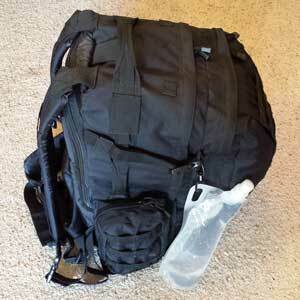 The Gerber Paraframe Mini is a high performer. 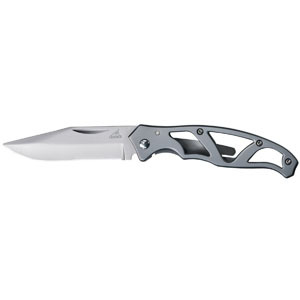 The high carbon stainless steel blade is 2.22 inches long. It is a smaller knife that is ideal for pocket carry. The handle is an open frame design for a lighter weight and cool look. There is also a pocket clip. The Case company is over 125 years old. Their knife designs also capture the more classic look with a focus on reliability. The company is now owned by the same company that makes Zippo lighters. 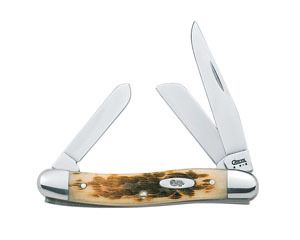 A great knife that is popular by Case is the 042 Medium Stockman. It is a three blade knife that is 3.625 inches long. This gives you more versatility with the kind of tasks you can do with this knife. The handle is made out of bone which gives it a classic rustic feel. There are many great knife companies out there. Most of us like developing trust with a certain brand over time so that we can go back again and again for products from that brand with the same quality that we have grown to enjoy. It is the companies that have been around the longest that usually provide some of the best quality for their customers. We reviewed some criteria of what makes a brand great, and then we looked at several of the best brands. We also took a look at the single best selling product from each brand to get a flavor of what they are all about. Don't forget to pick up a great sharpener as well to keep your blades in great shape.